A study published in the journal Science shows a team from the Chinese Academy of Sciences (CAS) achieve entanglement over a distance of 1,200 km, over ten times the distance previously achieved. Entanglement refers to pairs of quantum particles - in this case, photons – that are linked together over time and space. No matter how far apart they are, changes made to one particle will occur simultaneously in the other. If information can be encoded by the changes in entangled particles, it would allow data to be transmitted instantaneously over any distance. 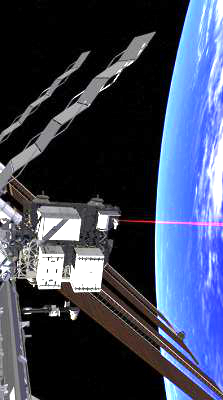 Previous studies have relied on optical fibres, which are prone to losing photons over distance, but the new record was set using photons emitted from a specially-designed satellite orbiting Earth. The CAS sent the world's first quantum satellite, Micius, into orbit last year. They then used it to send two beams of entangled photon pairs at telescopes up to 1,203 kilometres apart between Delingha in Qinghai and Gaomeigu Observatory in Lijiang. Lead researcher Professor Chao-Yang Lu and his colleagues demonstrated in their study that the individual photons were still ‘entangled’ with their counterparts across the country. Researchers at the Australian National University are in the process of developing Australia's first quantum satellite, which they say should be in orbit by 2021.